Inspired by some famous names, an internist pitches his expertise to local TV news stations. Many who get their health news from television have seen Sanjay Gupta, MD, or Mehmet Oz, MD, probably the most famous medical commentators in the country right now with a viewer base that numbers in the millions. Their recommendations have influenced people to change their lifestyle, get screening tests and learn more about their medical conditions. Any internist can do what Drs. Gupta and Oz do, maybe not with millions of viewers watching, but still educating and influencing patients within a local community. Take, for example, Randy Martin, MD, at WSB-TV in Atlanta and Corey Hebert, MD, at WDSU in New Orleans. You might not know who they are, but they were my media influences through medical school and residency. While I've never met either individual, I saw the impact that their insightful and candid medical commentary had on the lives and health of my local community. They inspired my involvement with the media. 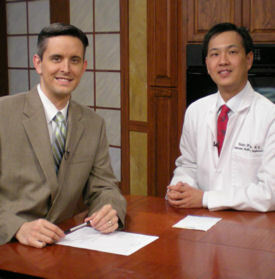 Victor H. Chou, ACP Associate Member, (right) with WAFB on-air personality Matt Williams. Why would a physician with a busy private practice want to take time away from work and family to commentate on television? In my case, it's to fulfill two professional goals: educating the public and performing a community service. Also, I get a huge kick out of watching a segment that I'm in appear on the airwaves, and knowing that it's benefiting the thousands of people who are watching. If this sounds like something you'd like to do, here are some tips to get started. Assess your communication skills. To be effective on television, speak clearly and concisely and try to come across as warm and caring. If you don't exhibit these traits in your professional life, then television isn't for you. Acknowledge your strengths and weaknesses. Never talk about a topic that is outside your area of expertise. For most internists, this will eliminate many pediatric issues, but there are still a wide variety of topics that the general internist will be comfortable discussing. Choose a relevant topic. It's not enough to choose a topic that you know. Choose a topic that viewers will enjoy and also benefit from. This is usually something that is timely and newsworthy, and for which important and relevant medical tips have not yet been given. Recent newsworthy topics that I've discussed include the salmonella outbreak and brain cancer. Pitch your story. For most metropolitan areas, there are usually three or four local television stations. In my opinion, the best strategy to get your story on the air is to call early in the morning and discuss with the news desk your specific topic, before they've laid out the day's news schedule. If the producers decide the story is worth following up on, they'll usually assign a reporter to it or invite you to the station for a live interview. Be flexible. Keep in mind that you may get a call back within a few hours or it may take a few days. Sometimes you'll hear nothing back at all. Most interviews (whether live or taped) tend to be conducted in the morning, so you will need to be flexible enough to devote 15 minutes during that time period for your interview. If you're fortunate enough to hear back from an assignment editor, you have to ensure that your message comes across clearly and accurately. Stick with three main points. You probably remember from medical school that most patients remember three things from the average doctor's visit. Apply the same principle to your interview and stick to three main, easily remembered points. Use an anecdote. I find that anecdotes are particularly valuable for a media interview. 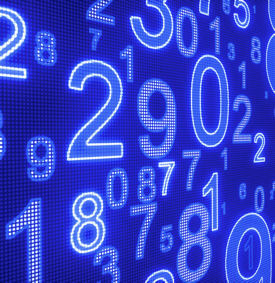 Many people don't comprehend statistics (doubly so with a mass media setting like television), but a vivid and personal story will tend to stick with them, perhaps inspiring them to get a screening test that they've put off or report symptoms to their doctor that they've so far ignored. There is no “off the record.” Sometimes, a reporter may ask you for your true opinion “off the record.” In my experience, there is no “off the record” and like in the courtroom, anything you say can and will be used against you. If you don't want something repeated, then don't say it. Be yourself. If there's one final tip that I can give, it's to be yourself. Viewers can tell when someone is genuinely passionate about what they're doing and they will respond to your enthusiasm. Above all else, don't get discouraged if your initial attempts fail. Keep pitching your stories, and eventually the stations will realize what a great resource you are and start to call you. Maybe one day you'll be the next Sanjay Gupta. Dr. Chou, board certified in internal medicine, is active in private practice and a frequent medical commentator for WAFB, a CBS affiliate in Louisiana. He lectures frequently about his experiences in the media and the lessons non-media physicians can learn from television.